Searching for a good tool for correcting Moodle assignments? The ‘Corrections’ plugin might be well worth a try. For a language teacher, correcting assignments takes up a remarkable amount of teacher time. Even more so if assignments are submitted online, and you have not found the right correction tool yet. Throughout the years, I have been on a quest to find a digital tool that can compete with the undisputed efficiency of correcting by hand. For our teachers, the ‘Corrections’ tool brought about considerable relief! To use the plugin, your administrator must install it from the Moodle.org plugins directory. You manage the plugin from the Site administration of your Moodle site. Your admin can then customise the correction key to make sure it will cover the specific needs of the specific teacher group at your school. In the settings, each error type is represented by an abbreviation and the full name of the error, e.g. adv = adverb. As a teacher, what do I do? As soon as a student has submitted an assignment as an online text in Moodle, you can edit the student’s text directly from the ‘feedback comments’ field. 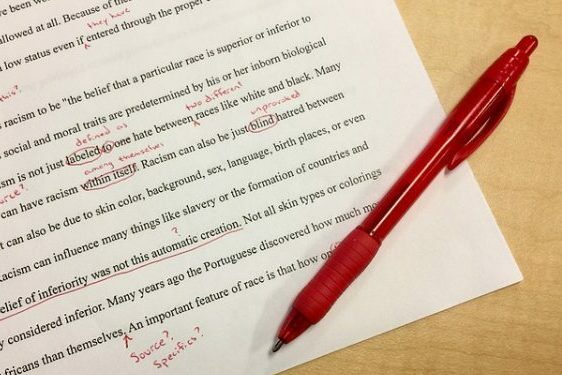 My experience is that with the introduction of the ‘Corrections’ plugin, correcting written assignments in Moodle has become more effective and time-saving. Teachers say that the plugin permits an accurate and quick way of correcting common mistakes made by language learners. It can easily be customised and adjusted to the teachers’ needs and thus is a flexible and user-friendly tool. However, since ‘Corrections’ is a classical correction key, students will need a certain (grammatical) understanding to make sense of the abbreviations. If your students need more scaffolding, the comment function may be really helpful. By adding more detailed comments to your corrections, even less grammatically skilled students will be able to benefit from your feedback. I really like this – and I had not seen this plugin before – probably because I don’t teach a language online. It looks very easy to use, and I can certainly see why language or writing teachers would adopt such a feature !